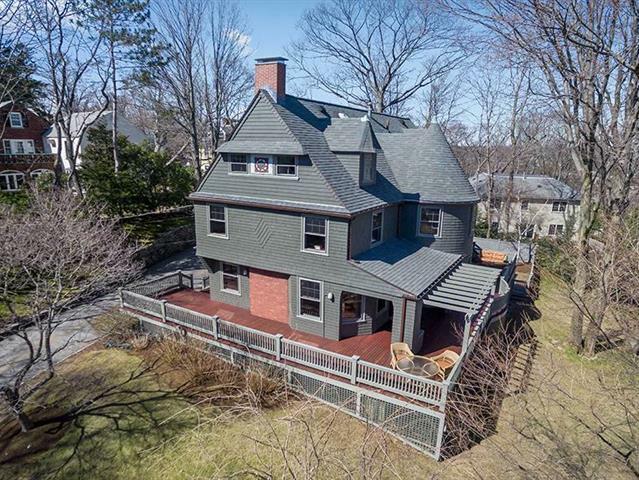 The William Cummings Richardson house is a marvelously and meticulously updated Shingle- style Victorian with turret on West Newton Hill. This beautifully proportioned over 4,000 square foot home boasts 15 rooms, 6 bedrooms and 4.5 bathrooms on a beautifully landscaped third of an acre with lush plantings. Additionally there is a Carriage House over the heated two-car garage. This home feels modern and in move-in, perfect for today's living. Updated and expanded state-of-the-art kitchen, bathrooms and all systems. Located one block from the shops in Newtonville and the Washington Street Corridor, which is currently undergoing exciting economic development. Close to Newton North High, and commuter rail. Easily accessible to Boston and Cambridge by car.